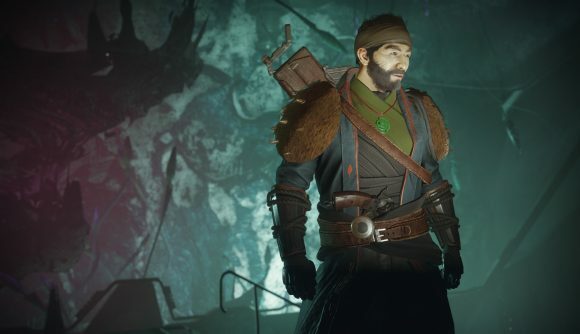 In a first for the series, Destiny 2’s Season of the Drifter introduced a binary choice with permanent consequences: pledge loyalty to the strait-laced Vanguard, or the rogueish Drifter. Here’s what you get each week for making that choice. Pledging to the Drifter sends your guardian rogue, embracing the darkness. Pledging to the Vanguard sends you on a mission to expose the Drifter’s wrong-doings under the guidance of Aunor, a Warlock of the Praxic Order. Players can expect rewards every Tuesday, following Destiny 2’s weekly reset schedule for the remainder of season six. If you join forces with the Drifter, you’ll receive one of each Gambit Prime Synth every week and 100 infamy points in Gambit. For those staying true to the Vanguard, you’ll get 10 Vanguard Tactician tokens, an enhancement core, and a Boon of the Vanguard – a consumable buff that grants extra tokens during strikes. Both sides award one piece of powerful gear each week, too. While being told to pick a side sounds like a scary commitment, the decision is unique to each character, rather than your whole account. Your Hunter may side with the Drifter but your Warlock or Titan can stick to their Vanguard loyalties if they please. The allegiance quest is a huge step for the Destiny series, which until now has presented humanity as bitterly divided without ever letting us participate meaningfully in its squabbles. But now we get to make a choice that affects the narrative, albeit to a small degree – here’s hoping Bungie takes this further.